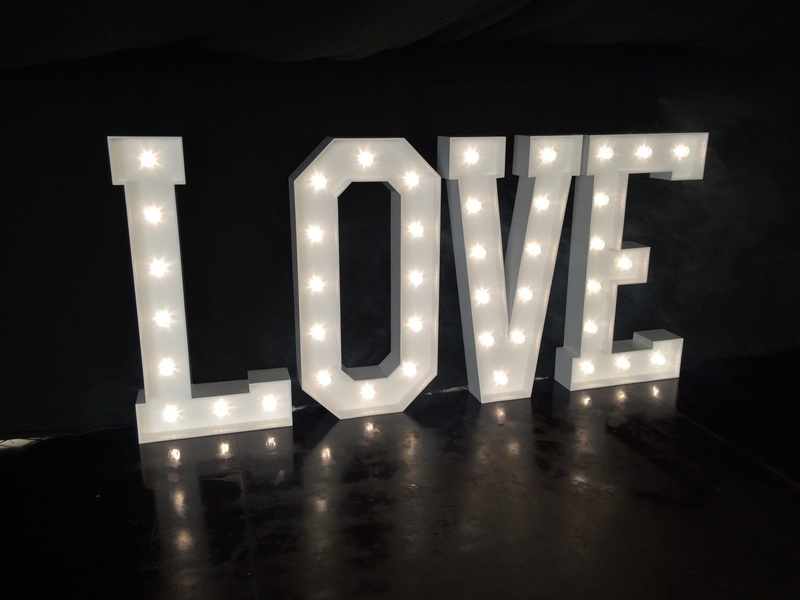 Light up 5ft tall LOVE Letters create a stunning focal point to your special day! The 5ft LED LOVE letters are the perfect addition to your Wedding or special event. Standing at 5ft tall means that they are easily noticed and become a focal point of any event, they’re great as a photo backdop! The lamps inside the letters themselves are all LED meaning they are very safe as they produce next to no heat. Another beauty of LED is that they do not draw as much power as a traditional light bulb which your venue will really appreciate! The LOVE letters are specially coated in a beautiful white coating so they always look clean and presentable whilst matching most venues.